The focal piece is flower that was made in West Germany in the late 1950s. It is made of a thermoset plastic called acrylic, of which Lucite (a trademark of the DuPont Co.) is perhaps the best-known variety. 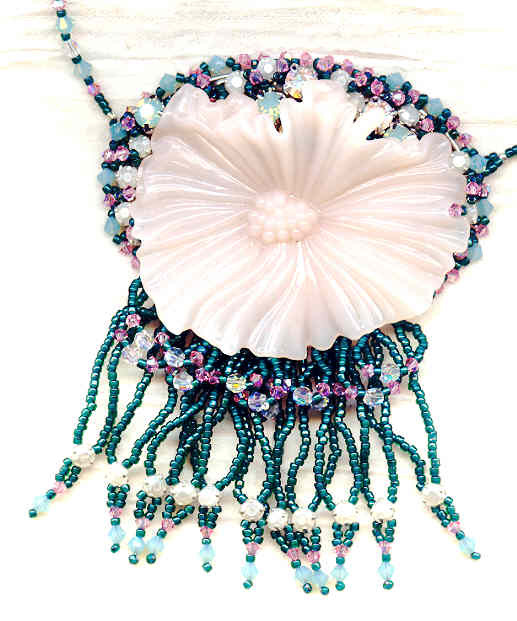 This glowing peachy-pinky beauty shows to advantage against a background of Swarovski crystal stones and beads in pearly white, aqua opal, rose and clear aurora boreale; and deep green seed beads. 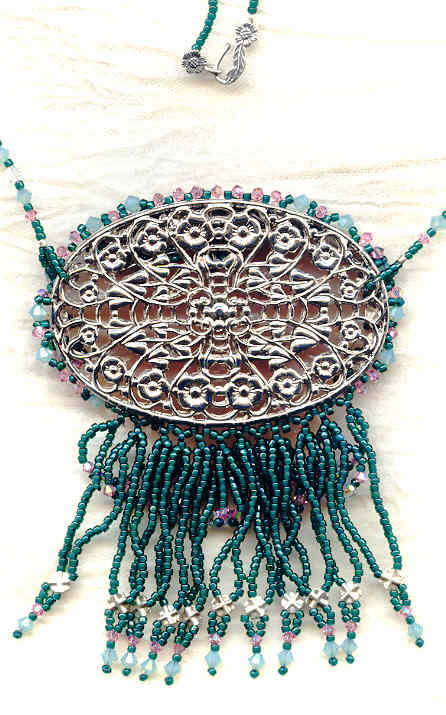 Including the beaded picot around the edges, the pendant measures about 3-1/4" wide. 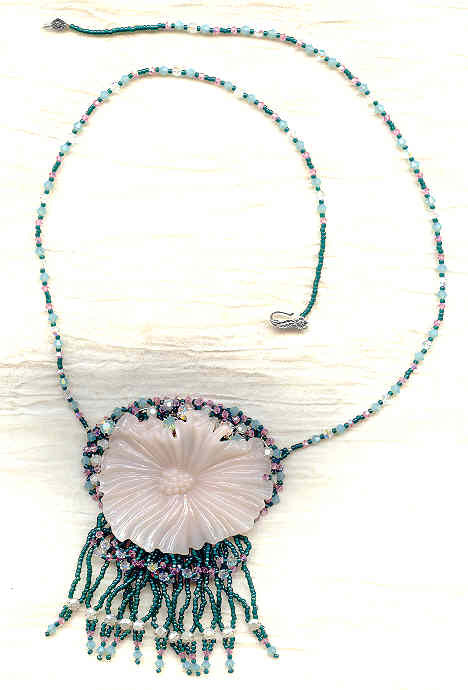 The 25" strand features the same beads, and closes with a sterling silver floral motif hook set. The longest of the double-fringe elements ends a bit less than 2" from the flower's lower edge. 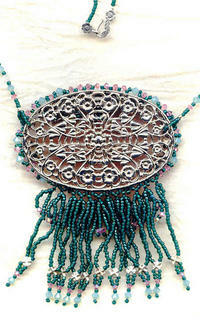 It's a bit pricier than most of our jewellery, but then it took a great deal more work than most of our jewellery. And, after all, you're worth it, aren't you? You deserve a treat, don't you? We certainly think so, here at SPARKLE PLENTY.